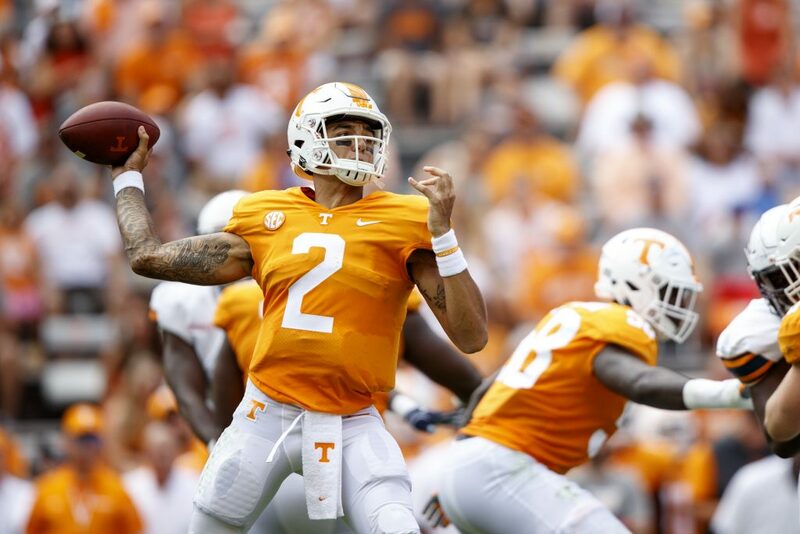 It certainly wasn’t pretty, but the Vols got a 24-0 win over lowly UTEP on Saturday to improve to 2-1 on the season and achieve the first winning streak of the Jeremy Pruitt era. The Vols totaled over 500 yards of offense on Saturday, but they managed just 24 points in the victory. Penalties, turnovers, and sloppy play kept Tennessee from putting up more points, and there was plenty to dissect after the game. Managing editor Nathanael Rutherford and staff writer Ben McKee reacted after the game on the RTI Post-Game Reaction Show and discussed Tennessee’s pass rush, inconsistent offensive line play, a questionable decision by Pruitt and his staff, the ending of the quarterback controversy, and much more. We also let Vol fans have their say live on the show. If you missed the reaction immediately after the game, you can catch the replay of it below.